Looking for the Best Online Cake Delivery in Trivandrum? - OrderYourChoice is the Largest Online Cake shop in Trivandrum that offers to order cake online and home deliver the cakes to your desired locations in Trivandrum. 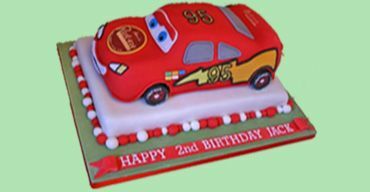 - We offer wide range of Birthday Cakes, Kids cake, Party Cake, Anniversary cakes and Photo cakes with assured customer satisfaction. - The cakes ordered will be delivered only from the top quality bakeries in Trivandrum with uncompromised taste and impeccable quality! Trivandrum, the capital city of Kerala is a modest yet enthusiastic city, which has evolved into a tourist hot spot for travel fanatics from all over the world. Though Keralite cuisine dominates the eateries in most part of Kerala, the presence of other cuisines from across the country and world too can be felt here. 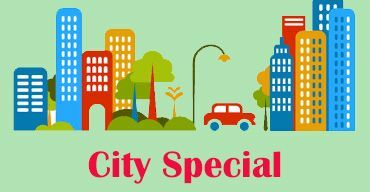 Like any other energetic city, people of Trivandrum too celebrate festivals and host parties with great fervor. During all such occasions cakes are savored without fail as they have become the personal favorite for both kids and elders. Hence OrderYourChoice.com – a well-known online cake shop in Trivandrum offers yummy cakes online in Strawberry, Vanilla and Black forest to Chocolate mousse, Red velvet , and much more. Hoping to Send Cakes to your Loved Ones? 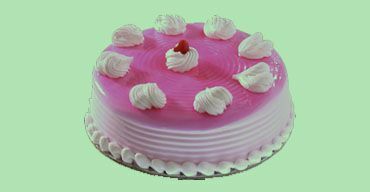 Visit our Online Cake Shop in Trivandrum. Wish to patch up with your pal or girlfriend? Want to host a surprise party to celebrate your brother or sister’s birthday? Whatever is the situation and celebration, place an order from Online cake shop in Trivandrum OYC and get timely cake delivery in Trivandrum. When you send cake, even bitter and sour relationships blossom into lovable ones, sweet scented and freshly baked cakes have such magical powers. 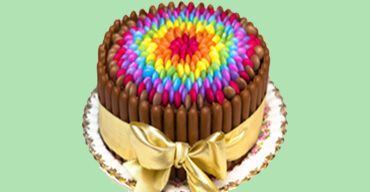 Unlike the brick and cement shops that have cakes in limited flavors and numbers, online cake shop in Trivandrum have unbelievable choices. The displays are meant to provide great clarity as to how the end product would like. It is also meant to avoid guesswork and disappointments. Still have doubts? Do not shy away instead get them clarified with the customer service personnel who are ready to help you. You can do all the above sitting before your work desk or home computer, leisurely. Apart from the busy bees, we are very much sought after by the elderly and the physically disabled because they can choose their favorite dessert without having to depend on others. Since buying cakes online does not involve any commuting and other hardships it is here to stay, forever. Parents are always taken for granted, yet shower unconditional love and support to their children all through their life. Though you are aware of all this, you get carried away by life’s demanding situations. It is only when you become a parent you start appreciating and acknowledging the values and love of your parents. They say when people become old they behave like children. So, now that you have taken the reign of life in your hands, it is your chance to treat your father and mother to the goodness of life. With OYC and online cake delivery in Trivandrum at your side, send all your affection and care in the form of cakes no matter whether you are nearby or far off from your parents. 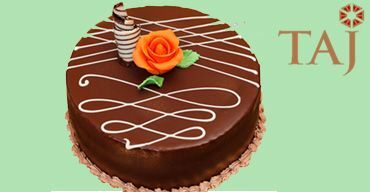 This online cake delivery in Trivandrum enables you to order cake online even from abroad and get home delivery here in Trivandrum, India. Opt to send it during Mother’s Day, Father’s Day or during Wedding Anniversaries, you choose the day and time, OYC will carry out your orders accordingly, without any delays. 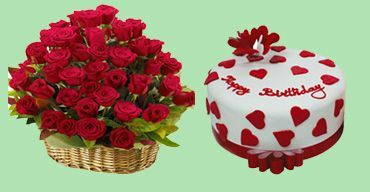 Order cake online for your friends in Trivandrum, you can actually send your feelings and emotions by sending a cake with bouquet of flowers along with Chocolates. Want to exhibit your creative side? No problem, as OYC's online cake shop in Trivandrum lets you customize your cake the way you want. 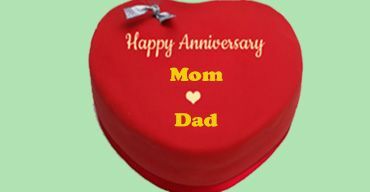 Birthdays and Wedding Anniversaries are celebrated every year even then everyone wishes to get a unique birthday cake or wedding anniversary cake, each time and the very thought of finding one can dread you down. 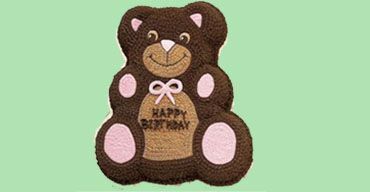 Fortunately, OYC’s customized cakes shop in Trivandrum can make your job of finding a unique birthday cake or wedding anniversary cake a breeze. The specialty of these cakes is that they convey many a things, without you speaking it out literally. In other words, these cakes do the talking for you. When you order these cakes from OYC's cake shop in Trivandrum you can opt to write down your own message, poem, date, and name or love verse on them along with or without printing a photo of your choice. Do not worry, each and every bit of these Customized Cakes are edible and safe to eat. Rock the party with the delicious cakes and create memorable moments every time from cake delivery service in Trivandrum. Our cake delivery service is also available in Attingal, Chirayinkeezhu, Kaniyapuram, Kattakada, Kilimanoor, Konchiravila, Nedumangad, Varkala, Adimalathura, Akathumuri, AKG Nagar, Akkulam, Alamcode, Amaravila, Amboori, Anad, Anavoor, Anchuthengu, Andoorkonam, Arayoor, Arikkadamukku, Aruvikkara, Aruvippuram, Aryanad, Aryanadu, Athiyannur, Avanavancherry, Ayiroor, Azhoor, Balaramapuram, Bonacaud, Chemmaruthy, Chempazhanthy, Chenkal, Cheriya Konni, Cherunniyoor, Chirayinkeezhu, Choozhattukotta, Edakkode, Edava, Iroopara, Kadakkavoor, Kadinamkulam, Kaduvakuzhy, Kallambalam, Kallar, Kallara, Kallikkad, Kalliyoor, Kanjiramkulam, Kappil, Karakonam, Karakulam, Karavaram, Karicharakadavu, Karode, Karumkulam, Keezharoor, Keezhattingal, Keezhthonnakkal, Keleswaram, Keraladithyapuram, Koduvazhannoor, Koliyakode, Kollayil, Koonthalloor, Kottamom, Kottukal, Kovalam, Kudappanamoodu, Kudavoor, Kulathoor, Kulathummal, Kulaviyode, Kunnathukal, Kurisumuttom, Kurupuzha, Kuttichal, Madathara, Madavoor-Pallickal, Malayinkeezhu, Manamboor, Mandapathinkadavu, Manikkal, Mannoorkara, Maranalloor, Marianad, Meenankal, Melthonnakkal, Memala, Menamkulam, Moothala, Mudakkal, Muthana, Nagaroor, Nannatukavu, Navaikulam, Nellanad, Ottasekharamangalam, Ottoor, Pakalkuri, Pallichal, Pallickal, Pallippuram, Pallithura, Palode, Panavoor, Pangode, Parassala, Parasuvaikkal, Pazhayakunnummel, Perayam, Peringamala, Peringammala, Perumkulam, Perumpazhuthoor, Perunguzhi, Pirappancode, Ponganadu, Poothura, Poovar, Pothencode, Pozhiyoor, Pulimath, Pullampara, Pulluvila, Punnamoodu, Puthenthope, Puthiyakavu, Puthucurichy, Sarkara-Chirayinkeezhu, Singarathoppe, Thampanoor, Thandalam, Thiruvananthapuram, Thattathumala, Theakada, Thennoor, Thirupuram, Tholicode, Thonnakkal, Thottavaram, Uliyazhathura, Uzhamalackal, Vakkom, Valiyavilapuram, Vamanapuram, Vattappara, Vazhichal, Vedivachancoil, Vedivechankovil, Veeranakavu, Veiloor, Velavoor, Vellalloor, Vellanad, Vellarada, Vembannur, Vembayam, Venganoor, Venjarammoodu, Vennicode, Venpakal, Vettoor, Vilappil, Vilavoorkkal, Vithura, Vizhinjam. I want a photo cake for an upcoming birthday party. 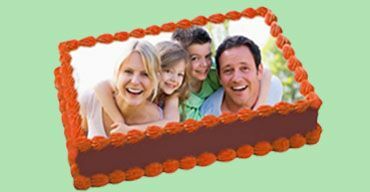 Heard that you deliver Photo printed cakes in Trivandrum. Is that true? You heard it right! We are the specialized online photo cake shop in Trivandrum. All you have to do is select the cake of your preference and place the order. Once you place the order, send the Photo which you need to print on the cake along with your order number to info@orderyourchoice.com. We’ll make sure that the photo you sent us will be printed on your desired cake without any compromise in the quality and taste. We’ll make the prompt delivery in and around Trivandrum. 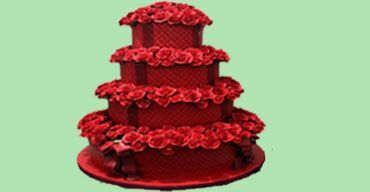 Is Online cake delivery made on the same day? Yes. Online cake delivery is made on same day. We need 3-4 hours in advance order. 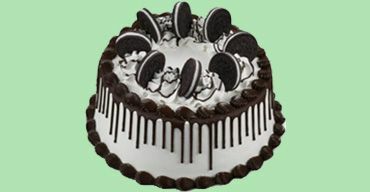 Is there any discount for this online cake delivery to Trivandrum? 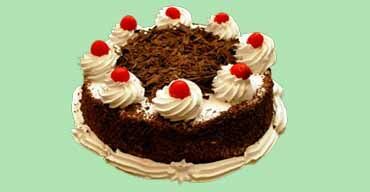 Yes we have offers on online cake delivery to Trivandrum. Use promo code “OYCCAKE” to get 5% off on all types of cakes. There are many questions as to why I should order cakes online. We got a very quick answer for all of those who are stucked up there. Here you go: While,conventional type of online cake delivery is ok, orderyourchoice brings in variety from any bakery across your city so you have more varieties of cakes to choose from. As well, we deliver you while you are busy scheduling up for your kids party, wedding party, or any birthday/ Anniversary occasions. It’s so simple, just a click from your mobile, the cake arrives at the destination with precision. Placing an online cake delivery is just a matter of simple clicks. I was searching for BluberryCheese cakes in all cake shops nearby me in Trivandrum. But none had this flavor. OYC did. Ordered the cake online, they did the delivery right within hours. Ordered White forest cake online in OrderYourChoice. The cake was delivered right on time of the need and it tasted so good. Its hard to find a good cake delivery service like Oyc in Trivandrum. Chocolate Truffle Cake, 22 October 2017. Best Cake I’ve ever had in my lifetime. It was like a heaven in my mouth. Stunned by such taste. Price is also genuine and affordable. Good work OYC! Ordered 2Kg Butterscotch for friends get together. Order arrived right on time prior to the time of the event. It was so delicious too. Best cake delivery shop in Trivandrum. Online cake delivery in Trivandrum always been a flop for me, but with OYC im beyond happy, loved the cake and the service.